When interest rates rise, "buying subject to" suddenly starts to look like a very attractive financing option for home buyers. When interest rates are low, home buyers tend to avoid subject to transactions. But interest rates aren't the only factor used to determine whether a buyer might make a purchase offer with a subject to financing. "Buying subject to" means buying a home subject to the existing mortgage. It means the seller is not paying off the existing mortgage and the buyer is taking over the payments. The unpaid balance of the existing mortgage is then calculated as part of the buyer's purchase price. The primary reason for buying subject to is to take over the seller's existing interest rate. If present interest rates are at 7% and a seller has a 5% fixed interest rate, that 2% variance can make a huge difference in the buyer's monthly payment. A second reason: generally buyers do not qualify to buy a home when using subject to financing unless the seller decides to pull the buyer's credit report. If a seller is willing, even a buyer with bad credit can buy a home subject to. A subject to sale does not necessarily involve owner financing but it could. Whether the seller carries any type of financing depends on whether the seller wraps the mortgage and/or the amount of the down payment versus the purchase price. A straight subject to cash-to-loan: The most common type of subject to is when the buyer pays in cash the difference between the purchase price and the seller's existing loan balance. For example, if the seller's existing loan balance is $150,000 and the sales price is $200,000, the buyer must give the seller $50,000 in cash. A straight subject to with seller carryback: Seller carrybacks, also known as seller or owner financing, are most commonly found in the form of a second mortgage. A seller carryback could also be a land contract or a lease option sale instrument. For example, if the sales price is $200,000, the existing loan balance is $150,000, and the buyer is making a down payment of $20,000, the seller would carry the remaining balance of $30,000 at a separate interest rate and terms negotiated between the parties. The buyer would agree to make one payment to the seller's lender and a separate payment at a different interest rate to the seller. Wrap-around subject to: A wrap-around subject to gives the seller an override of interest because the seller makes money on the existing mortgage balance. Let's say the existing mortgage carries an interest rate of 5%. If the sales price is $200,000 and the buyer puts down $20,000, the seller's carryback would be $180,000. At a rate of 6%, the seller makes 1% on the existing mortgage of $150,000 and 6% on the balance of $30,000. The buyer would pay 6% on $180,000. 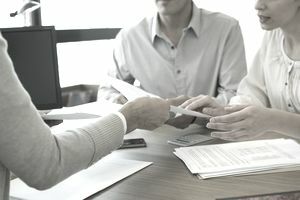 In a subject to transaction, neither the seller nor the buyer tells the existing lender that the seller has sold the property and the buyer is now making the payments. The buyer did not obtain the bank's permission to take over the loan. Lenders put special verbiage into their mortgages and trust deeds that give the lender the right to accelerate the loan in the event of alienation. Do banks call these loans due and payable upon transfer? It depends. In certain situations, some banks are simply happy that somebody—anybody—is making the payments. But the banks do have the right due to the acceleration clause in the mortgage or trust deed. That's what makes it a risky situation for a buyer. If the buyer can't pay off the loan upon the bank's demand, the bank could initiate foreclosure.